Glorishears of Brummagem outside the Bull pub in Birmingham. Article on Birmingham BBC web site. 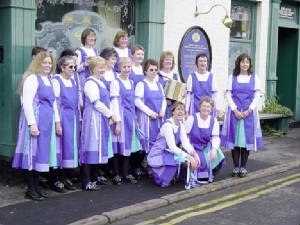 "The Big Brum Morris Caper"
of this list, "morris dancing"